? The Castle Care Club Juniors ? This is a brand new cost-saving healthcare package available for ? puppies and ?kittens. 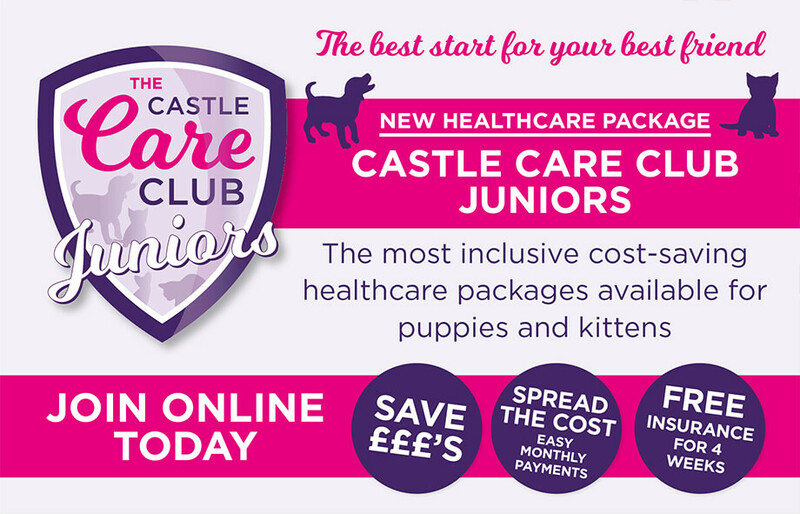 Membership of the new Juniors Club gives you peace-of-mind as a responsible pet owner. Your puppy or kitten will receive their primary vaccination and year-round protection against parasites, plus you’ll save up to 50% off neutering so you can be sure they have the very best start in life. Around their first birthday, they will automatically move from the Juniors club into the adult Castle Care Club. This means you never have to pay a lump sum for vaccination boosters or parasite control again, and you continue to make great savings on these services compared to paying as you go.